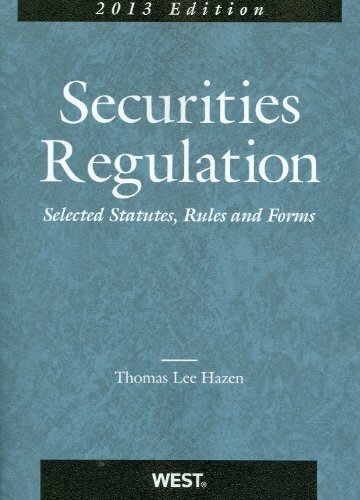 Selections in the book include the text of basic federal securities laws, related Securities and Exchange Commission (SEC) rules and forms, and other selected related laws and regulations. 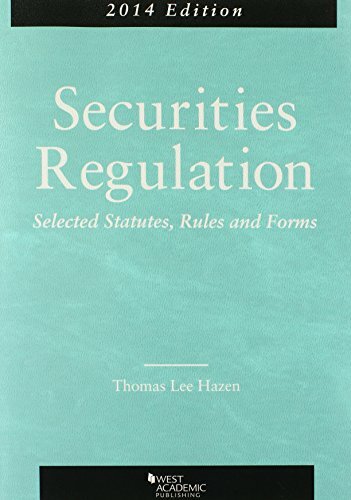 It is designed as a supplement to securities regulation texts used in law school courses, but it can also serve as a reference for lawyers, securities professionals, and corporate officers. The booklet contains changes made through October 2012.